According to the National Institutes of Health (NIH), the average person loses around 100 hairs per day. For most people, those hairs grow back, but for millions of people they don’t, leading to a problem that can be embarrassing. The good news is that there are options for those who experience hair loss, including hair restoration. 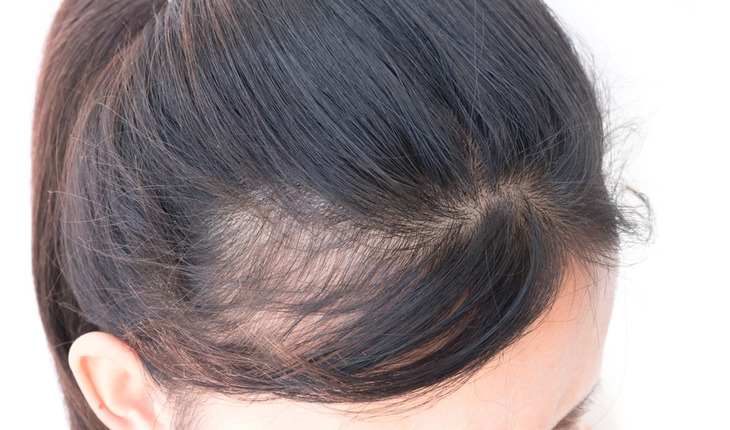 The NIH reports that hair loss can happen for a number of reasons beyond growing older. They include certain diseases, thyroid problems, diabetes, lupus, family history and stress. The reasons people experience hair loss or thinning are varied, but the solutions are much simpler. According to the International Society of Hair Restoration Surgery (ISHRS), there were over 133,000 people who had hair restoration in the U.S. in 2016, an 18% increase over the prior year. As more people learn about what hair restoration can do for them, they are opting to have a procedure. Hair restoration surgery involves taking hair you already have and using it to fill in the areas that are missing hair or have thinned. Kahen is a pioneer and the leading expert in using the Platelet Rich Plasma technique, called SmartPRP®. His hair restoration technique uses the body’s own tissue regeneration mechanism to strengthen small hairs and stimulate growth of new follicles. Smart PRP, a 30-minute procedure, can be performed as a standalone treatment or, in some cases, is combined with transplant surgery, which takes all day. Since Smart PRP® is a non-invasive procedure, patients generally return to work the next day. Hair transplants take longer to heal – usually 10 days — as the redness, swelling and scabbing fade. Time. Many people think hair restoration is a process that will take a lot of time. The reality is that the procedure generally takes around an hour, sometimes less. Recent advances, including Kahen’s SmartPRP®, can generate results in as little as 30 minutes. Those who need a hair transplant will find it takes up to six hours for the surgery, depending on the extent of the baldness, and does require a longer recovery period. Healing. Following hair restoration, patients may experience mild swelling of the scalp and redness that heals much quicker than with previous hair restoration techniques. Being a candidate. Almost everyone is a candidate for hair restoration. While many people tend to think it’s men who get it, ISHRS reports that 39% of hair restoration surgeries that take place are done on women. Many women have thinning of the hair or hair loss, and they too are good candidates for restoration. Advancement in techniques. Hair restoration has come a long way over the years. Today there are advanced technology procedures. These help to improve the outcome, as well as recovery times. Cost. The cost for hair restoration surgery depends on the extent of baldness, the age and overall health of the patient and the doctor’s level of experience. Kahen has performed thousands of hair restoration surgeries and has invented some of the most advanced restoration technology, including SmartPRP®. For more information, visit Beverly Hills Hair Restoration at https://www.beverlyhillshr.com/.